Hyde Park Winter Wonderland is a large annual Christmas event held in Hyde Park, London, typically from mid-November to early January each year. It is one of the biggest, and most well-attended such events in the world, featuring several festive markets, over 100 rides and attractions from across Europe. 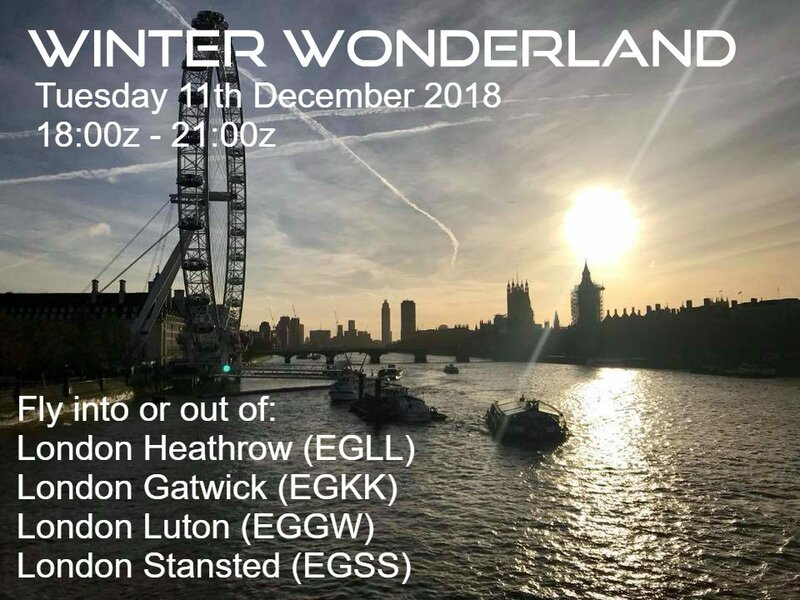 Passengers will want to be transported from all around the world to London's prime airports to attend Winter Wonderland. As the pilot you have a choice of where you want to fly your passengers to. If you would like to control for this event, you must be an XU registered member or hold a valid GCA in the division. You should register your interest on the ATC Scheduling System. Click here for the ATC Scheduling System, where the official event roster will be made. Please select all the positions you would be able to control. We will allocate positions via the system 2-3 days before the event takes place. Please check the system to ensure your booking has been confirmed. As this is the last event of the year. I want to wish everyone on behalf of IVAO United Kingdom and Ireland and Merry Christmas and a prosperous 2019. Thank you for supporting the XU events through-out the year.